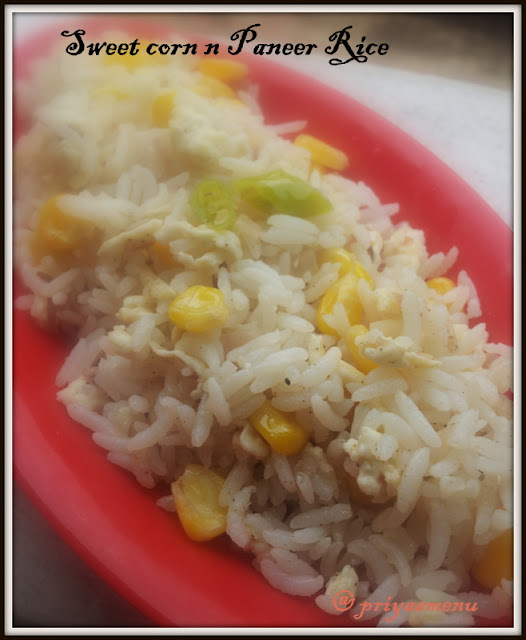 Do check my Sweet corn and Paneer Rice in her blog and post your valuable comments ! 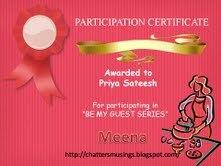 Hopping over to Meena's now! wow tempting n mouth watery..
Easy n yummy pulao...lovely recipe! Delicious looking rice, lovely combination! Thats a beautiful and delicious combo for rice.Lovely guest post Priya.